It’s good to see that Google is constantly adding new features to Search. That Google still manages to evolve Search given its manifold interests in the field of technology, is a positive sign of a company that has not forgotten its roots. 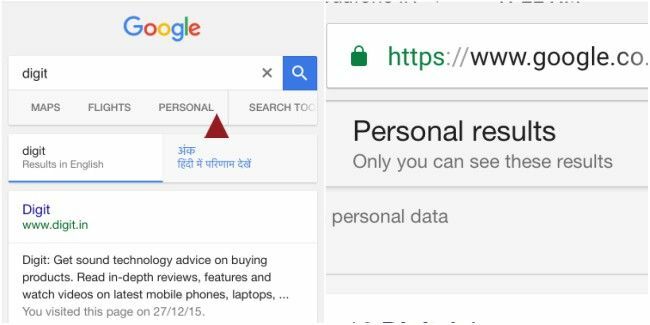 Many Google users across the world have noticed a new ‘Personal’ tab on the Google Search page, both on desktop and mobile. Search now showcases an added tab marked as ‘Personal’, which displays user-specific results from Gmail and Photos. 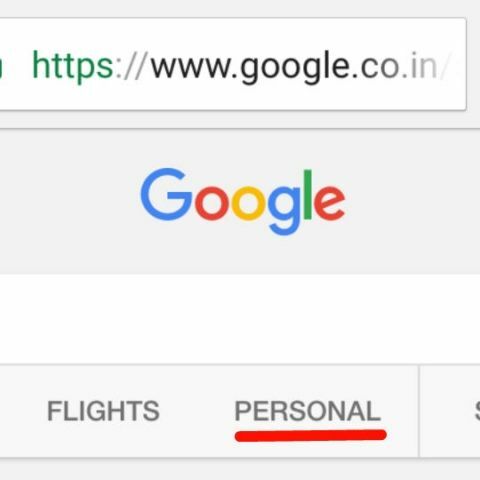 With the ‘Personal’ search tab, Google is aiming at presenting a customised set of information matching the search keywords to its users. For instance, If you search for the word ‘Delhi’ on Google, your personal tab will display results from Gmail about your recent conversations featuring the keyword. It will also pull up any previous images you clicked in Delhi from your Google Photos account. The new feature was first spotted by Search Engine Roundtable, and it seems like Google is rolling it out to users in a phased manner. We at Digit.in tried to find the ‘Personal’ tab on the desktop version of Search, but could not spot the same. The feature usually appears in a dropdown menu on clicking the ‘More’ tab. Here's the Personal tab on desktop as spotted by The Verge. However, we did manage to spot the new ‘Personal’ tab on the mobile version of Google Search. The tab accumulated information from the linked Gmail account on the smartphone. Here is an image of how Google’s Personal tab appears on Chrome search for iOS. Google is also known to be experimenting with a new, faster Search widget for Chrome on Android. The Search widget is currently available for Chrome Dev version 60, the developer variant of Google Chrome, through which the company lets users experience Chrome’s latest features that are still a little rough around the edges.